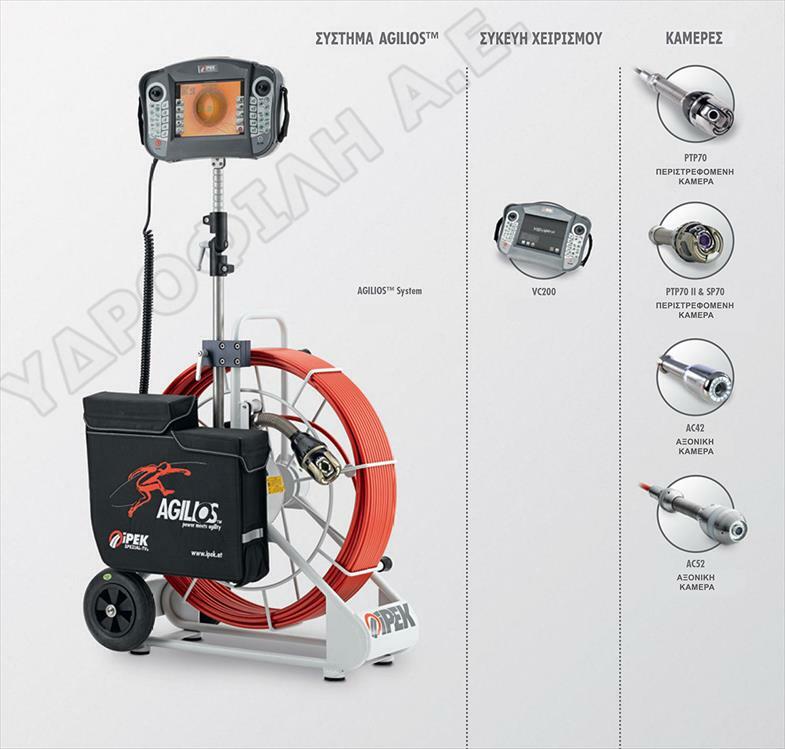 SUPERVISION system allows pipes and boreholes inspection from Φ80 to Φ1200, of total length up to 500m. High specification cameras are very durable during the long lasting operations under pressure up to 10 bar and are able to inspect pipes giving excellent results in matters of focus and image quality. 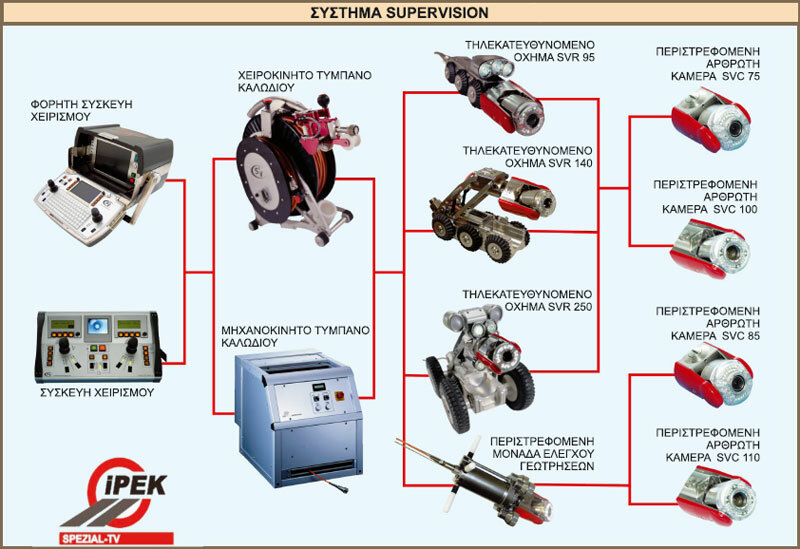 Moreover, the system includes a rotating control unit for drillings of pressure up to 50 bar.